1. Polished stainless steel surface makes your bottle sparkling. 2. Lightweight design makes it great when you carry your bottle. 3. Exquisite Workmanship makes your bottle seal better. Safe Material: Food Grade 18/8 stainless steel material, you can drink your water safely. And, the stainless steel material is more corrosion resistant and much longer life. Humane Design: With a carry handle, it is more convenient for you to carry, you can hook it to a carabiner and off you go. The simple structure makes it easy to wash. Exquisite Workmanship: Polished surface makes our stainless steel lid more sparkling. That will decorate your bottles even better. Wide Use: Our wide mouth lid fits for 18 oz, 32 oz, 40 oz and 64 oz Hydro Flask. 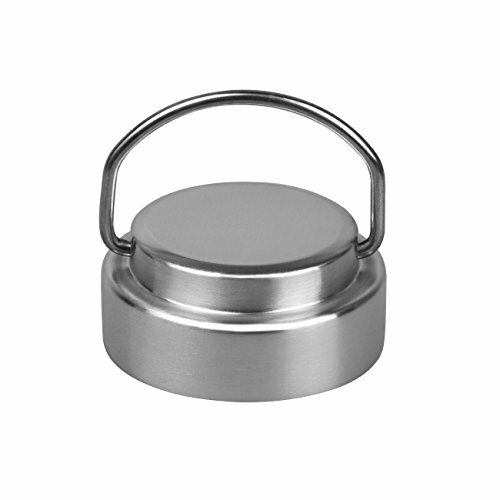 What you Get: A wonderful stainless steel lid, 18-months warranty and our friendly service. If you have any questions about this product by GOLO, contact us by completing and submitting the form below. If you are looking for a specif part number, please include it with your message.